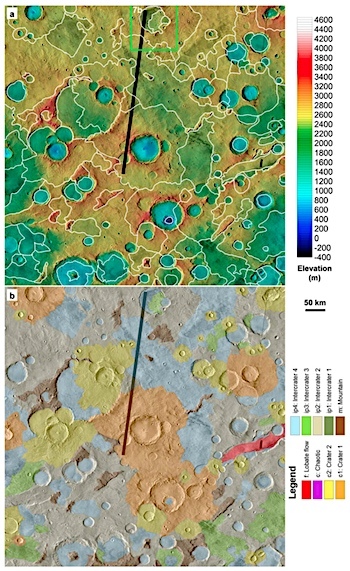 The surface of Mars at Libya Montes, Noachis Terra, and Terra Cimmeria includes steep eroded slopes, gently to moderately sloping stable surfaces, gently sloping low areas that were thinly buried, and flat‐floored basins that accumulated thick deposits of sediment. The development of these surface features suggests low‐intensity, intermittent erosion by running water and wind over hundreds of millions of years. This entry was posted in Reports and tagged erosion, escarpments, Libya Montes, Noachis Terra, pediments, plains, Southern Highlands, Terra Cimmeria. Bookmark the permalink.